NOTE: We had an issue with our video recording, so there is no video for this teaching. You can still listen to the sermon audio on our church app. The average person makes 70 decisions a day. That’s 25,500 decisions a year. Over 70 years, that’s 1,788,500 decisions. It’s important that we learn to make wise decisions. Why? 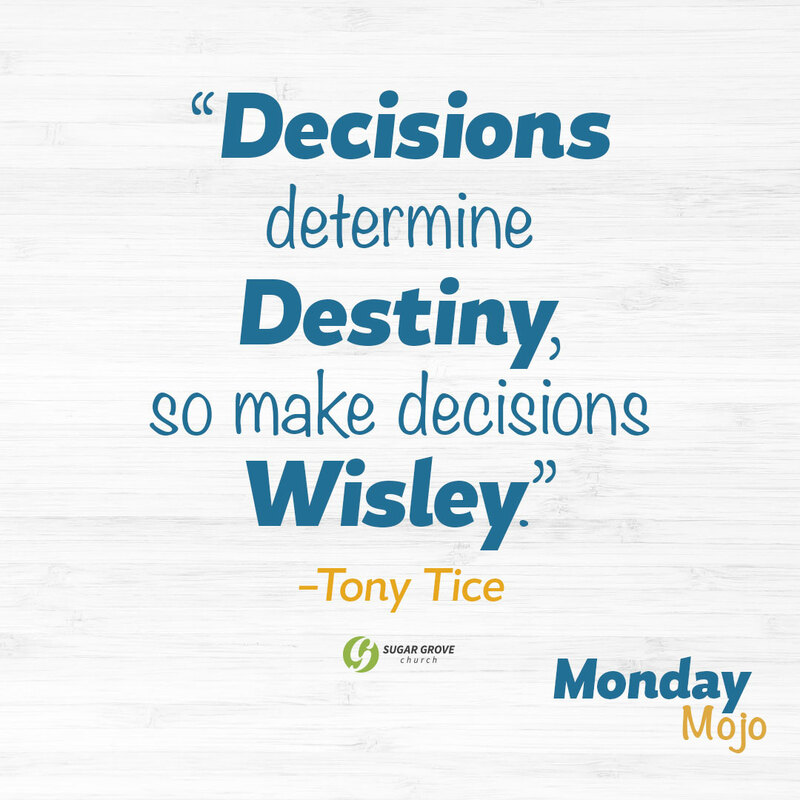 Because DECISIONS DETERMINE DESTINY. In many ways we are the sum total of the choices we make. That’s why King Solomon was so adamant in the book of Proverbs to tell his son to pursue, above all else, wisdom from God. Anyone can gain knowledge, but wisdom is reserved for those who humbly pursue God with their whole heart. And gaining wisdom leads to something we all should want… holy and healthy relationships. So how’s your walk toward wisdom? Are you seeking it in prayer? Finding it in the Word of God? Pursuing it by pursuing wise mentors and counselors? Is there a decision you need to make which you need wisdom for? Have you been seeking God in prayer about it? Have you sought wise counsel? Are you spending daily time in God’s Word in order to gain greater wisdom? Is there someone you could pour your wisdom into this week? Seek out someone to pray with and receive wise counsel from this week. Read through the first nine chapters of Proverbs this week. There are tons of good stuff about wisdom.